Julie Andrews' Broadway career was launched in 1954 when starring in 'The Boy Friend' quickly followed by a critically acclaimed performance as Eliza Doolitle in Lerner and Loewe's 'My Fair Lady'. 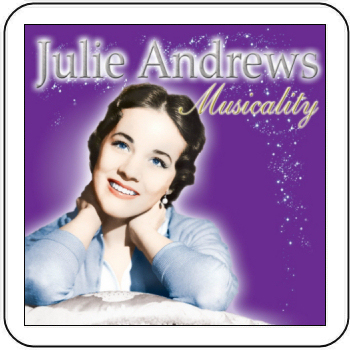 Julie's mainstream introduction to American audiences came from the nationwide broadcasts of the original television musicals 'High Tor' (with Bing Crosby) and 'Cinderella'. songs written for the musical stage and film.